TAE, formerly Tri Alpha Energy has notched several key milestones on the road toward making fusion practical–thanks to some deep-pocket funding from the likes of Paul Allen. Fusion is the process of smashing together the cores of light atoms, which combine to make heavier atoms. But the weight of the fused atom is still less than the the pair that made it. The excess is released in the form of energy… lots of it. It is, after all, how the Sun shines. Humans have fused atoms themselves, hydrogen bombs being the most obvious example. But what if you could control the energy release so that it is something longer than instantaneous? You might just harness a clean, limitless source of energy that produces virtually no emissions or radioactive waste. No wonder it’s the Holy Grail of energy, something scientists have been pursuing for decades. But fusion energy has been decades away – for decades. Why? The catch is that the fuel–or plasma–you are fusing has to be piping hot, millions of degrees, hotter than any physical container can hold. So, one of the main challenges is how do you actually contain it? Most projects have tried suspending this super hot soup in midair with powerful magnets. But TAE has a slightly different approach. In addition to magnetic fields, TAE also uses beams of neutrons aimed in just the right way to spin the mass like a football. But you never know what sorts of spinoffs (pun intended, of course) research like this might yield. Binderbauer reached out to me recently to share that his plasma spiralling technology–the neutron beams–have another potential application: as a medical tool to fight cancer. A cancer patient is injected with a nontoxic concoction of boron, which is absorbed by cells throughout the body. The patient is irradiated with a tight beam of neutrons, focused on a tumor. These neutrons, by themselves harmless to the person, interact with boron to break it up. This breakup of boron releases localized radiation that kills the cell. Diagram of how BNCT works. Credit: Rolf Barth. This powerful, localized therapy for hard-to-treat cancers is showing great promise. The boron part of the equation has been solved, said Michl. However, the difficulty right now is in delivering the shower of neutrons–currently, this requires a, shall we say, nuclear option. Worldwide, about 2,000 very sick people worldwide received this treatment so far, with promising results. But here’s the catch: before TAE built its device, the only place to find a neutron beam is at a nuclear reactor. “They would bring these people to the reactor and they would irradiate the head, or the neck, or the area they wanted to treat, with neutrons out of a duct out of a reactor,” said Binderbauer. Just imagine: cancer patients in the waiting room at a functioning nuclear reactor. It might be an option for a desperately ill person, but it is not exactly scalable. Using their neutron beam technology, Binderbauer claims TAE can help deliver a more reasonable solution. TAE has spun out a company just for this, called TAE Life Sciences. Their goal is to create MRI-sized machines that can be installed in hospitals. Perhaps very soon, BNCT will be accessible to many more people. If so, we will have to thank basic research and serendipitous science, as well as TAE. More on all of this in a future Miles To Go podcast. Beams of protons or deuterons are used to stabilize the plasma….not neutrons. Similarly, protons or deuterons are useful for killing cancer cells….not neutrons. 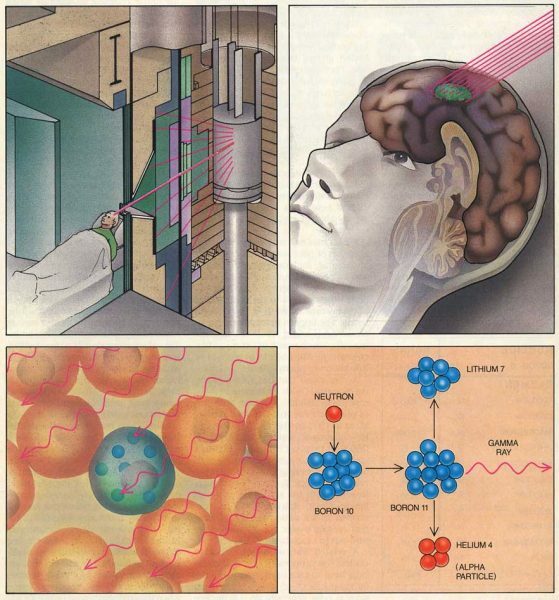 Interesting article on treatment of cancer with neutron beam. This method of cancer treatment was pioneered ay Brookhaven National Laboratory on Long Island in the 1990s. BNL used a nuclear reactor as a neutron source. 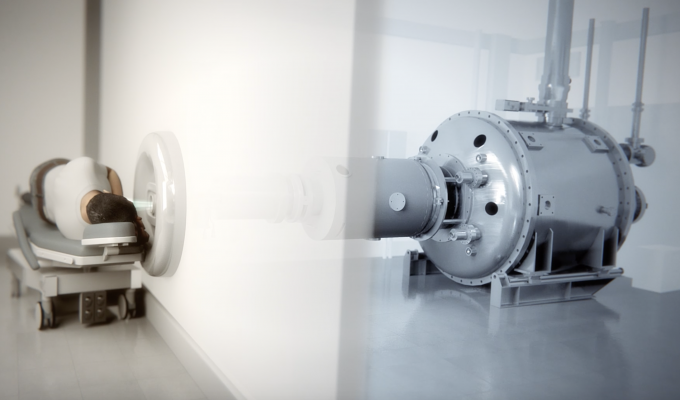 The company, Neutron Therapeutics in Boston is the first practical machine based source of neutrons for this very important medical application. Their first treatment system will begin clinical trials in Finland later this year (2018).